The Job Costing System provides the Management with the Financial Analysis of the Company’s Projects. The System can handle multiple Projects. It also allows the grouping of the Projects and the work to be carried out in each Project. The Projects can be further analysed by more categories, such as Phase, Location and others. Flexible – The Job Costing System is very flexible and allows the user to setup the System according to their company’s needs. The System can handle the categorization of the Projects and can analyze the documents entered up to 5 levels. 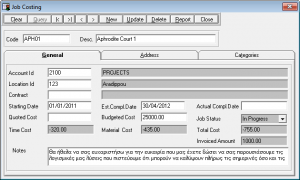 Simple to use – The Job Costing System contains internationally recognized graphics used by Microsoft Windows, providing the user with a familiar look and feel. Obviously this means that for users of Microsoft Windows Applications very little time is required for their training and implementation of the System. 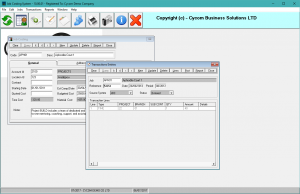 The basic Help Facility in Windows provides the user with an immediate User Manual, reducing the need for printed manuals. Customized Reporting – Reports can be produced how and when they are required by the user. 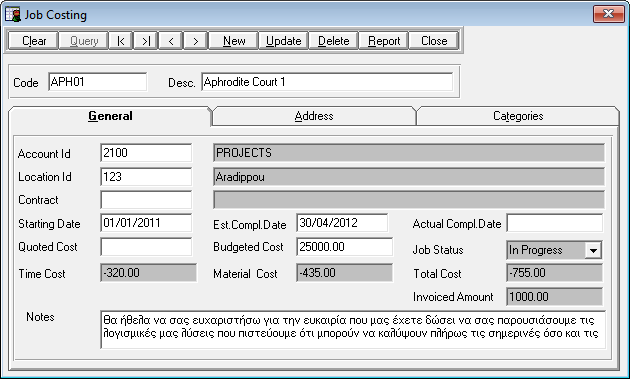 A batch of flexible parameters can be used to produce the information in the order required. 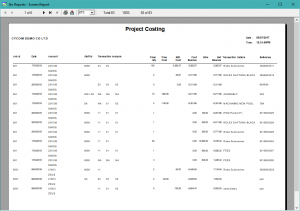 All reports can be sent to Print Preview and viewed on screen before being printed. The Crystal Reports tool can be used by experienced used to custom produce any report using the data from the database without the need for programming. List of Values – If searching for a code, on any field the user can press the Query button for the List of Values to appear and the user can choose the required code. Email Enabled – During the on screen Print Preview of any report, the user has the option to send the report to one or many recipients by email. Integrated System – The Job Costing System is fully integrated with Cycom’s Inventory Management System. When an item is issued to a certain project, the Job Costing System is automatically updated. 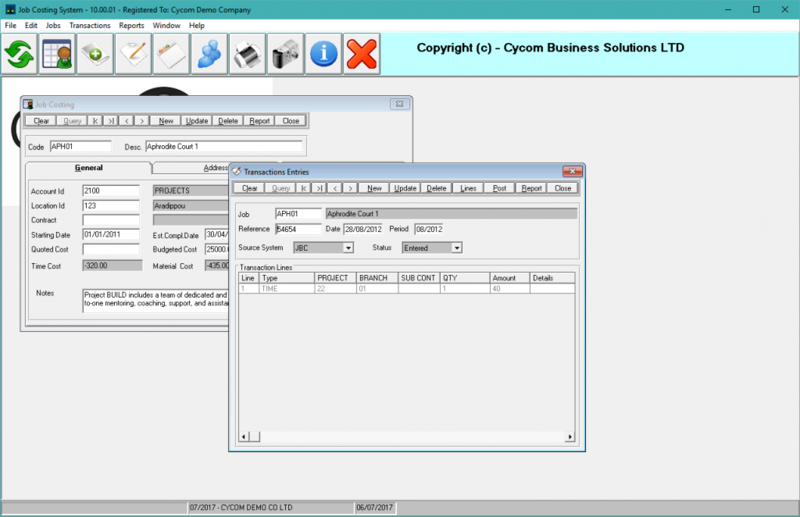 The System also interfaces with Cycom’s Sales Order Processing System so that when an invoice is issued for a certain project, again it is automatically updated. It allows the user to setup the Categories and the Sub-categories of the Projects. It provides the opportunity to analyse the transactions for the various projects.